Which Hitch Do You Prefer? 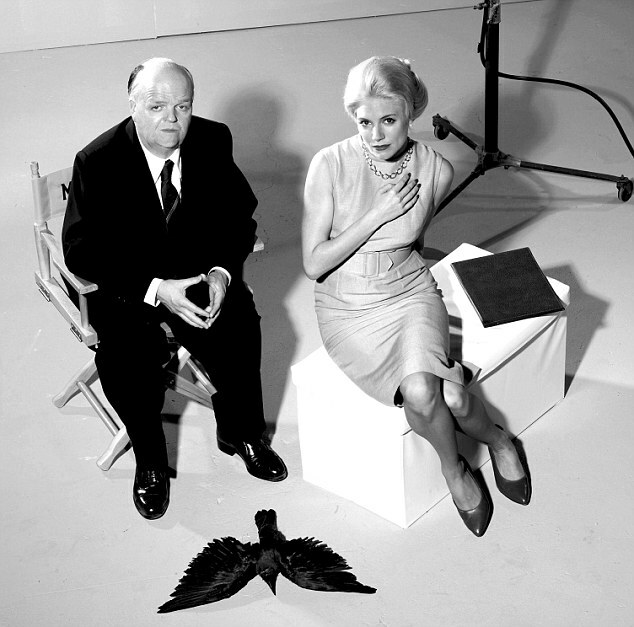 Recently, both of the upcoming films about Alfred Hitchcock – “The Girl,” starring Toby Jones, and “Hitchcock,” starring Anthony Hopkins – have released images of their respective stars made up and outfitted as The Master of Suspense. Here they are…so now the question is which one looks more macabre to you? Toby Jones (with Sienna Miller) in "The Girl"
I first raised some questions about casting on these movies in this post – but now that we’re seeing images from the movies, I’ll ask again: What do you think of this casting, and who would you like to see playing Sir Alfred? 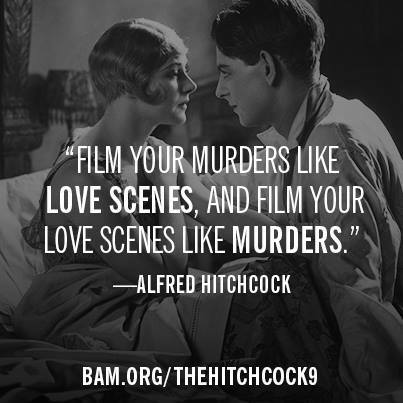 With the book “It’s Only A Movie,” writer Charlotte Chandler presents an intimate portrait of Alfred Hitchcock through interviews with his family, friends, colleagues, and Hitchcock himself. Published in 2005, the book provides perspectives on Hitchcock’s moviemaking genius from dozens of sources, especially Alma Reville Hitchcock and Patricia Hitchcock O’Connell, and so many others as well: stars like James Stewart, Cary Grant, Joan Fontaine, Marlene Dietrich, Martin Landau, James Mason, Jane Wyman, Ingrid Bergman, Henry Fonda, Tippi Hedren and more, who discuss Hitchcock’s delight in finding new ways to call actors cattle, usually just to get a rise out of them; his on set personality that veered from bawdy to bored; and his attention to every last technical detail. But it’s in the interviews with the behind the scenes people that Chandler digs up new gold. Former writers and cameramen, for example, have less reason than a movie star does to speak discreetly, and while the book does not air much dirty laundry, there is some frank discussion from Hitch’s early screenplay collaborator, Charles Bennett, cameraman Jack Cardiff, production designer Robert Boyle, or actor/collaborators like Hume Cronyn and Norman Lloyd. 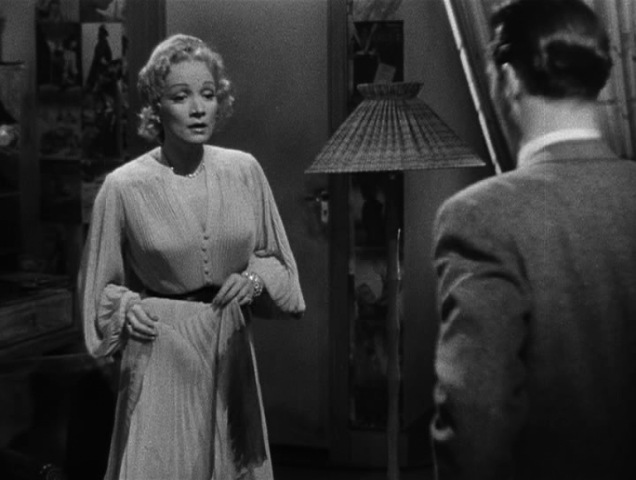 Chandler goes beyond Hitchcock in “It’s Only a Movie.” In describing Hitch’s one outing with Marlene Dietrich, “Stage Fright,” she neatly delineates Dietrich’s entire career, from screen icon to chatty recluse, including a lengthy digression on Dietrich’s affair with Douglas Fairbanks Jr. While not as in-depth a biography as some, “It’s Only a Movie” is rightly subtitled “A Personal Biography.” A such books go, they don’t get much more personal than this one, and it’s as close to Hitchcock as most readers as likely to get. Filled with singing, dancing and comedy, “Elstree Calling” is a ninety-minute revue that has roots in the past while looking to the future. Released in 1930, the movie is not officially available at this time, although you can find quite a few clips from it on youtube. 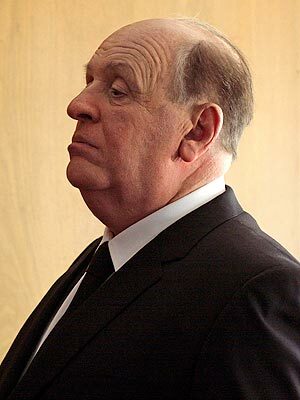 It is, however, an interesting, if minor, piece of Alfred Hitchcock’s career. 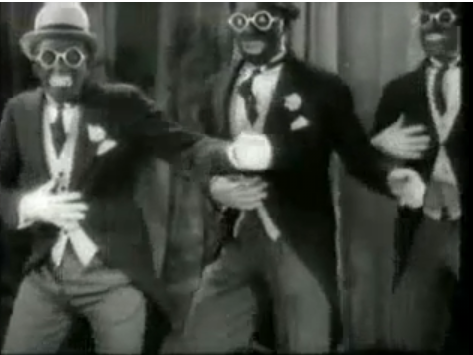 Hitchcock co-directed this early British talkie with André Charlot, Jack Hulbert and Paul Murray; Hulbert appears in the movie, and Charlot certainly must have been related to the Charlot Girls who also appear in it. 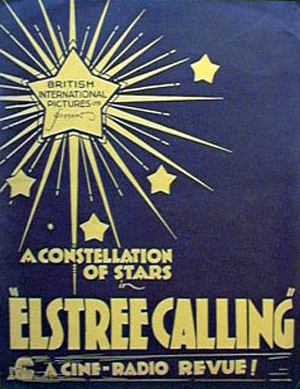 Filmed at England’s famous Elstree Studios, the film apes the early Hollywood revues that were staples of the 1930s, like the “Broadway Melody” films. It consists of three types of segments, starting with a master of ceremonies who introduces the various acts, speaking into a microphone as though it was going out on radio and making silly jokes, such as referring to “the greatesto studio in Europo.” Then there are the acts he introduces – mostly singing and dancing acts, but a few comedians as well, all pulled straight out of England’s music hall tradition. Gordon Harker, right, with Carl Brisson in Hitchcock's "The Ring"
The official directing credits for these sketches don’t exist anymore, but I do believe that Hitchcock directed them for a few reasons. 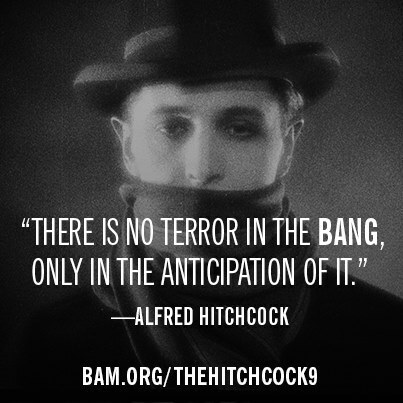 First, Hitch obviously enjoyed working with Harker enough to do so again here. 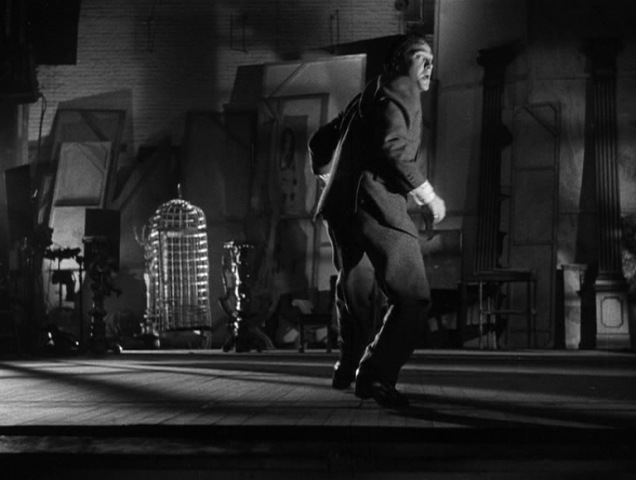 Second, these are the only segments with Hitch’s typical fluid camera work; virtually everything else in the film is shot head-on to capture the performers as they would have appeared on stage. And third, these are the only parts of the film that attempt to tell a story, however slim it is, rather than present a vignette. Harker’s tinkerer experiences progress and setbacks in his attempts to make his television work. 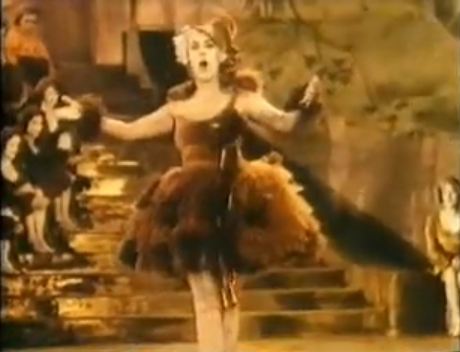 The music hall performers are a mixed bunch. 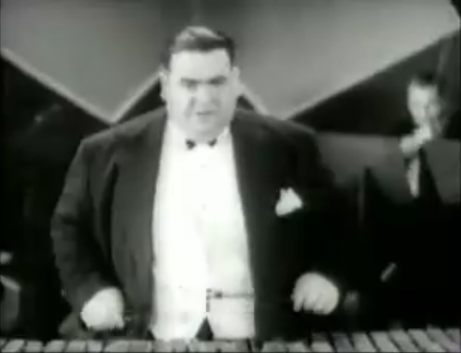 There’s the rotund bandleader Teddy Brown, who plays xylophone and drums; the blackface tapdancers called The Three Teddies; singer Cecily Courtneidge, clearly a star in this crowd; the singing, dancing female troupe The Charlot Girls; the endearing if awkward singer-dancer duo of Jack Hulbert and Helen Burnell; homely-but-funny Lily Morris, who sings “Always a Bridesmaid”; and Scottish comedian Will Fyffe, who performs in a kilt. Nearly all of their appearances are on a stage, in front of backdrops. Without a story or even a clue about their personalities, many of these acts are hard to sit through, even if they are somewhat quaint. 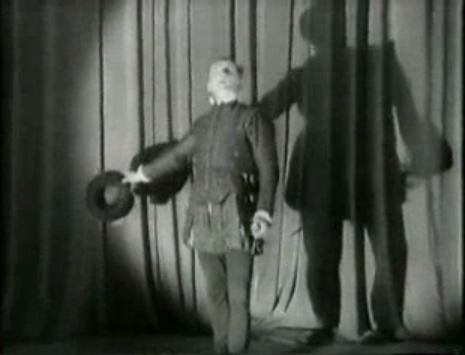 There is one other running gag, about a Shakespearean actor played by Donald Calthrop, who played the villain in Hitchcock’s “Blackmail.” Calthrop is determined to get out on the stage and perform a scene from “The Taming of The Shrew,” against the wishes of the emcee. When he finally gets his chance, the scene is a disaster, although he does not seem to be aware of it. The Three Eddies. Not cool. And then there’s the racism. Besides the blackface dancers, Teddy Brown tells an anti-semitic joke, and of course Will Fyffe’s jokes are based largely on the idea that Scots are so very cheap. Still, “Elstree Calling” provides a window into the world of the British music hall scene, which was then fading away, while looking ahead to the age of television. And yes, when TV finally became commonplace, viewers spent countless hours trying to adjust their pictures, so Gordon Harker’s futile efforts here do have some prescience about them. Recently, Roger Ebert posted his list of “100 Great Moments in the Movies” on his Chicago Sun-Times blog. After counting how many of those movies I’d seen (58!) I thought it would be fun to do something like it for our own Mr. Hitchcock. Since I’m only up to 1947 in his long career, I thought I’d split the list and post the first half now. The Lodger (Ivor Novello) arrives at his new home, startling his landlady. An angry mob tries to kill the Lodger. The blackmailer is chased through the British Museum in “Blackmail. 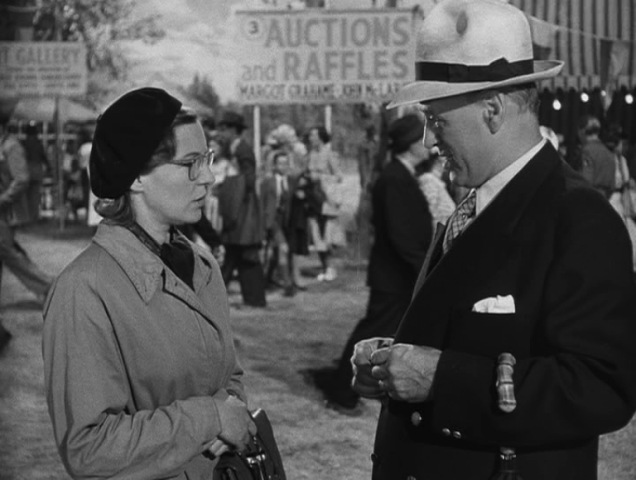 At an auction in “The Skin Game,” nouveau riche Edmund Gwenn outbids wealthy aristocrats. Richard Hannay tries to hide from the police by kissing an unwilling fellow traveller in “The 39 Steps.” Unwilling fellow traveller immediately gives him up to the authorities. The young lovers of “The Lady Vanishes” enter the Foreign Office to find old Mrs. Froy alive and well after all. An American reporter in Holland chases an assassin through an umbrella toting crowd, then hops into a car and continues the chase into the windmill-dotted countryside. “Mr. And Mrs. Smith” grill each other over breakfast, leading to a break in their marriage. Uncle Charlie, “the Merry Widow Murderer,” momentarily thinks he’s off the hook in “Shadow of a Doubt.” Bounding up the stairs to get ready for dinner, he turns to see his niece framed in a doorway, still certain that he is a killer. Walter Slezak is hauled into the “Lifeboat,” only to mutter “danke schein,” revealing to his fellow passengers that he’s German. Slezak’s character, now revealed to be the captain of the U-boat that sunk his fellow survivor’s ship, exhibits what seems to be super-human stamina, rowing his fellow survivors toward a German ship. As Gregory Peck kisses Ingrid Bergman for the first time in “Spellbound,” a series of doors open, symbolizing Bergman’s icy doctor’s sexual awakening. Devlin leaves Alicia’s husband to his ruthless comrades at the end of “Notorious. 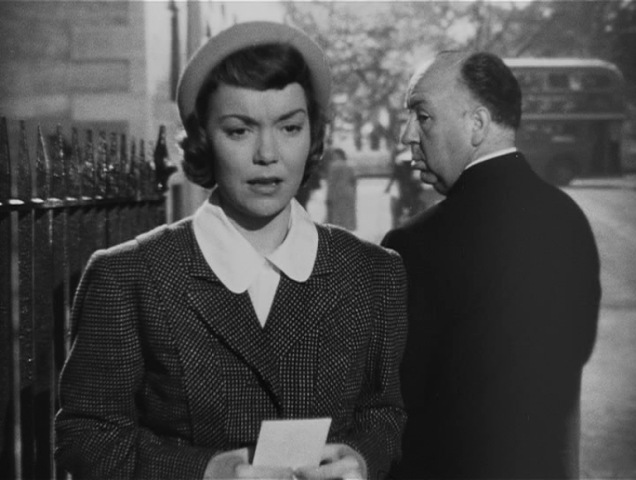 “The Paradine Case” brought Alfred Hitchcock back to familiar territory, with a story set in London and dealing with the trial of a woman accused of poisoning her husband. 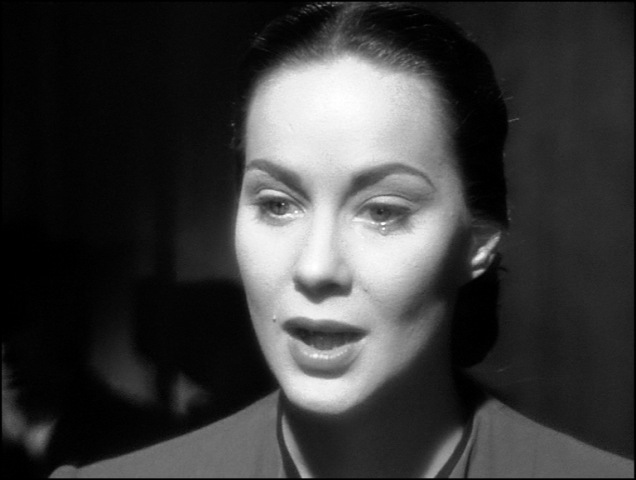 Alida Valli plays the accused Mrs. Paradine, whose husband, Colonel Paradine, was blind. 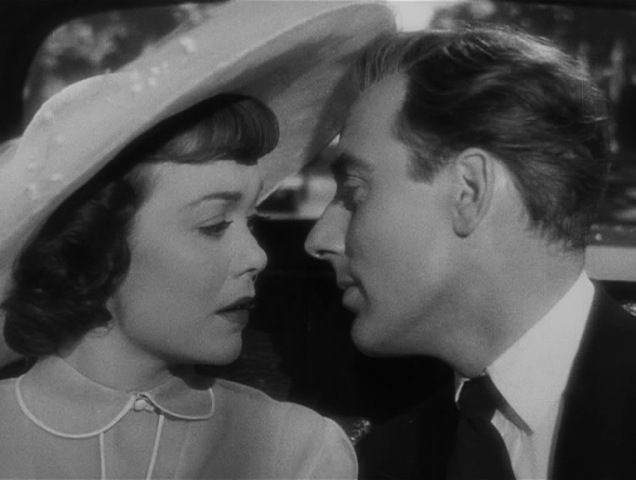 An alluring and exotic woman “with a past,” Mrs. Paradine seeks the council of her friend, Sir Simon (Charles Coburn), who recommends his friend, the barrister Anthony Keene, played by Gregory Peck. 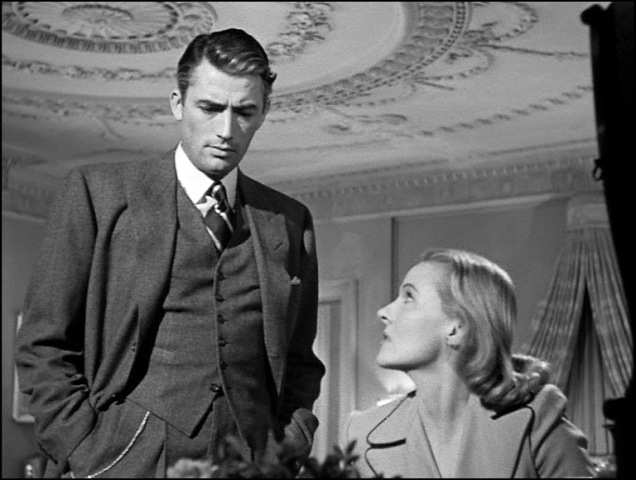 Peck takes on the case, and quickly becomes infatuated with Mrs. Paradine. He decides that she can’t be guilty, simply because she’s too fine a person to commit murder. As Keene delves into the case, his wife (Ann Todd) begins to suspect his real feelings for his client. 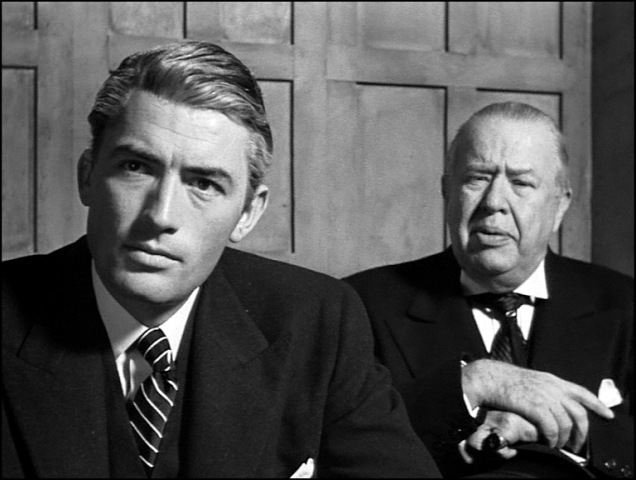 It’s when the trial begins, about halfway through the film, that you can see why Hitchcock didn’t believe Peck as an English barrister. It’s not because Peck’s accent is questionable at best; it’s because the prosecutor (Leo G. Carroll) and the judge (Charles Laughton) follow British legal practices, while Keene seems to be playing Perry Mason. He needs constant reminders to adhere to legal procedure, as though he isn’t really British. 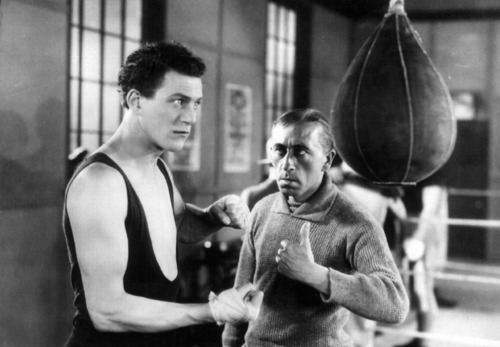 Peck gives a fine, strong performance, though, showing the stoic attitude that made him a star. Keene corners Colonel Paradine’s manservant on the stand, exposing inconsistencies in his testimony and forcing him to admit that Mrs. Paradine was at the root of the rift between himself and his master. At the end of the day, Mrs. Paradine tells Keene that she hates him, because he broke his word that he would not badger the servant on the stand. The next day, as the trial resumes, the court receives word that the servant has killed himself, and Mrs. Paradine confesses that she loved him – and that she killed her husband. Keene’s distressed attempt to make his final argument in the case is heart-wrenching, as there’s nothing he can do to save his client. 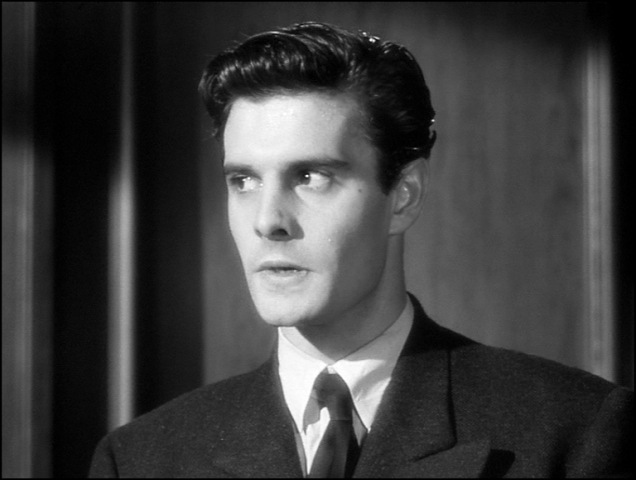 In the final scene of the film, set in Sir Simon’s home, Keene is convinced that his failure will mean the end of his career, but his wife tells him that he will recover, and that he can take the Paradine case as an object lesson. It’s an odd, flat ending to a not very satisfying movie. 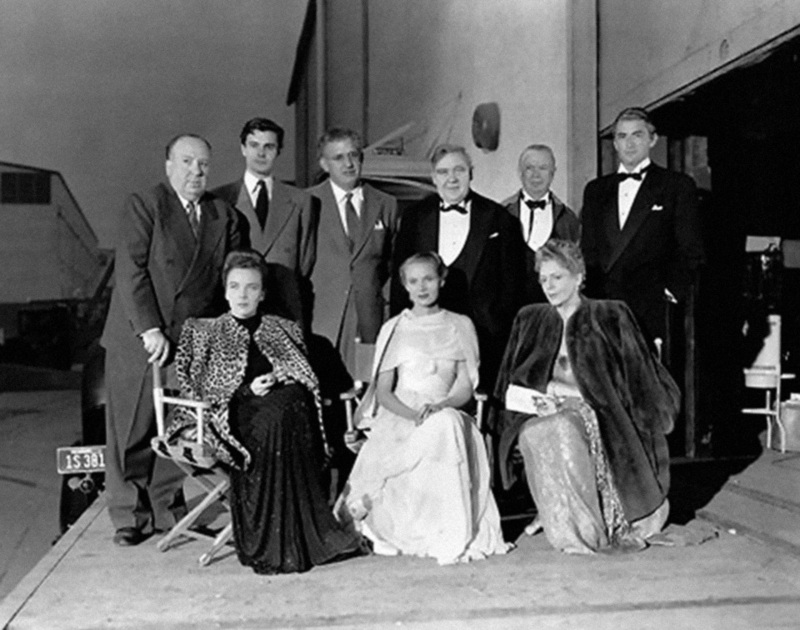 The many stars lined up by producer David O. Selznick and Hitchcock for this film did not make it a success. (The posters lists Valli and Jordan as “new Selznick stars!) In fact, some of them, Charles Laughton and Ethel Barrymore, playing his wife, are barely necessary to the story. 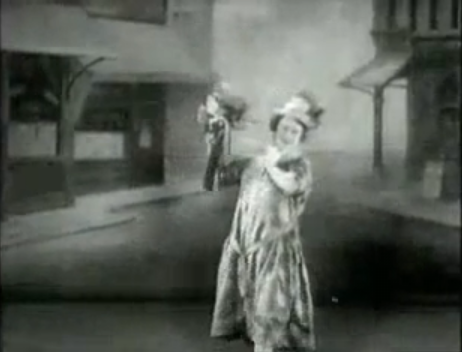 Barrymore appears in just two scenes: One, at a cocktail party, and the other, at home having dinner with his wife. The movie would have worked just as well if the judge had been seen only during the trial. Similarly, there’s a sequence where Keene visits the Paradine’s country home that serves very little purpose. He noses around and tries to speak to their servant, played by Louis Jordan, but really accomplishes nothing. 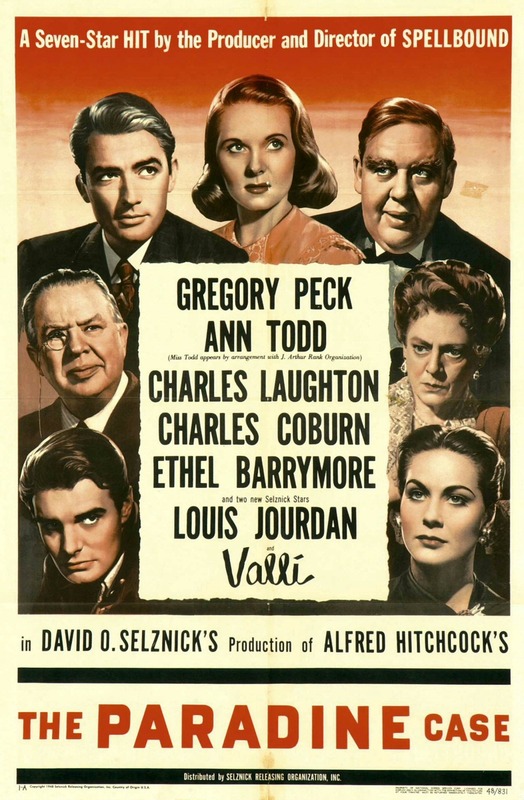 The screenplay for “The Paradine Case” is credited to Selznick, although it was worked on by Hitchcock, Alma Reville, Ben Hecht and James Bridie. Selznick’s contribution was to watch each day’s filmed “rushes,” rewrite the scenes and insist that they be reshot with his script. 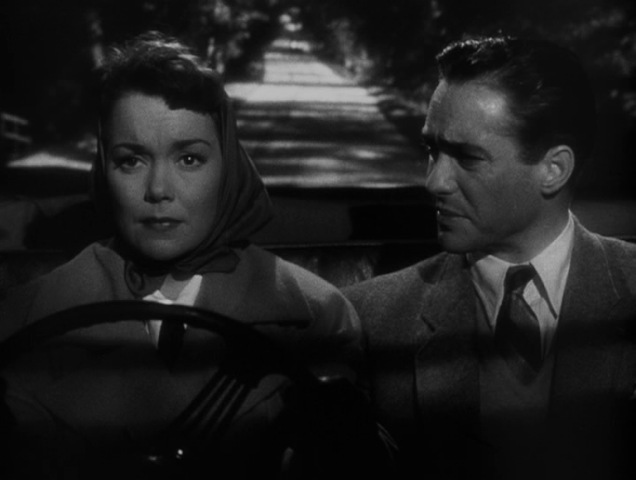 “The Paradine Case” was the final film Hitchcock made under contract with Selznick, and only the third released through Selznick International Pictures. 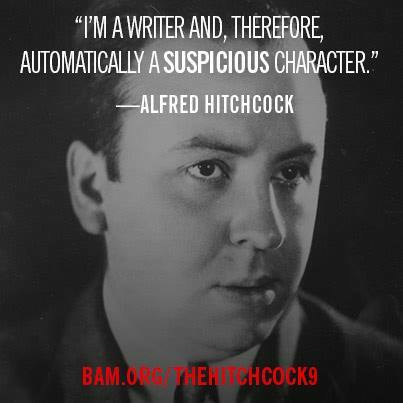 Going forward, Hitchcock would be an independent director, taking greater control of his career as the 1950s approached. This was also the final film both Gregory Peck and Charles Laughton made with Hitchcock. 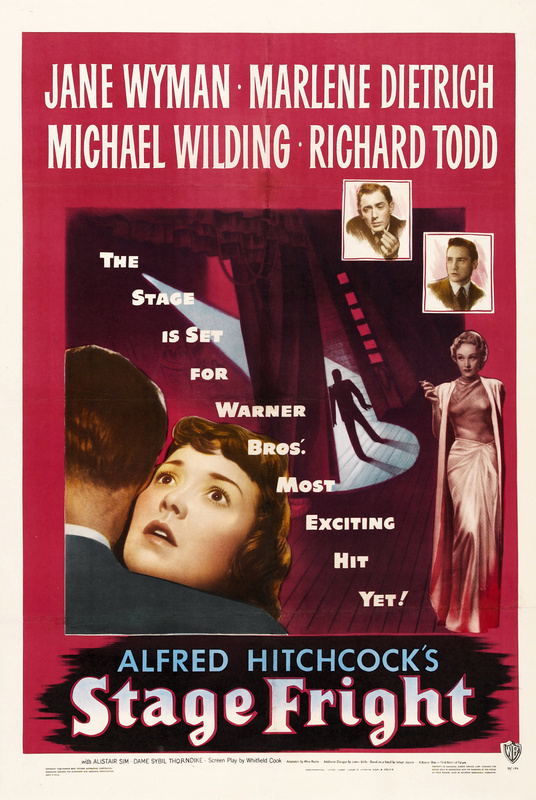 Next, Hitchcock adapts a famous stage play with interesting results in “Rope,” starring James Stewart.